A five-alarm fire ripped through an apartment building in Northeast Philadelphia, injuring more than a dozen people and leaving many more homeless. There is no word yet on conditions or possible fatalties in the fast moving blaze at the Austin Manor Apartment building on the the 7000 block of Rising Sun Avenue in the Burlhome section. Fire Commissioner Lloyd Ayers said firefighters had to rescue residents from the three-story building and others jumped in a bid to escape the flames. The fire was reported about 4:30 a.m. and escalated to five alarms before firefighters could bring it under control at 6:30 a.m. The Red Cross set up an assistance center for displaced residents at Northeast High School. 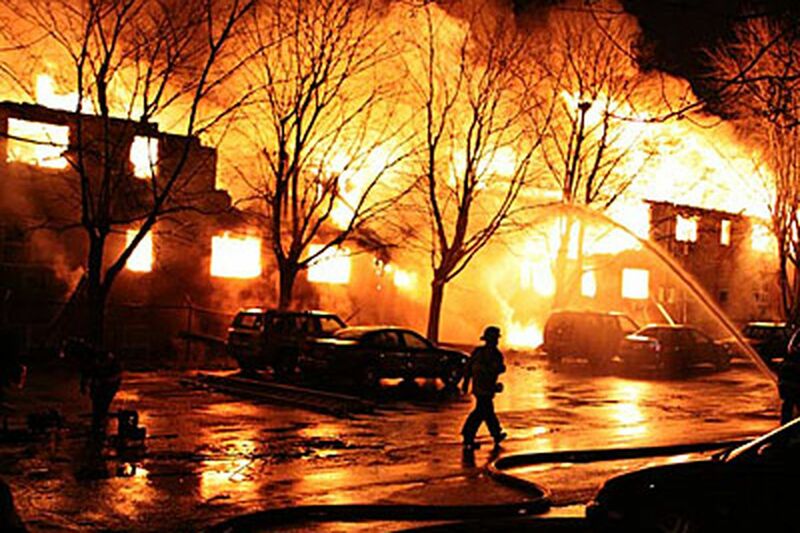 The complex was the scene of another five-alarm blaze, apparently sparked by a candle, in October 2001. The cause of this morning's fire is under investigation.